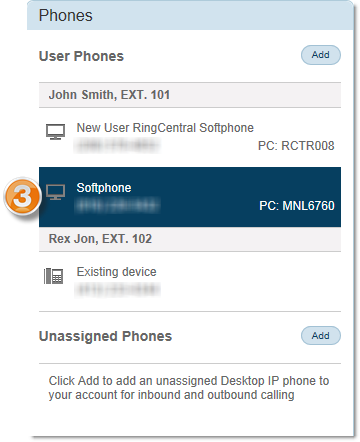 NOTE: To make inbound and outbound calls using the Softphone, a DigitalLine must be purchased and associated with the software. IMPORTANT: You must be logged in as administrator to do the following configuration. For instructions on logging in to your Office@Hand account, click here. 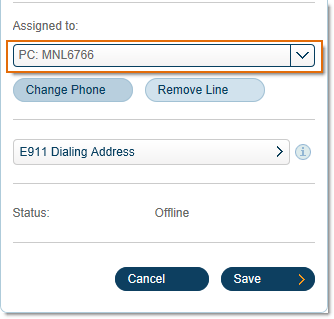 Click Settings and select Phone System. 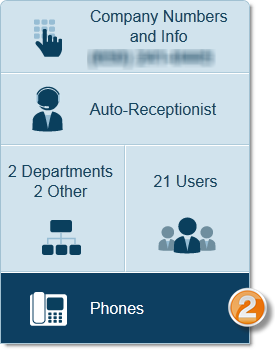 Under the Phones window, select the User Phones you want to assign or re-assign. 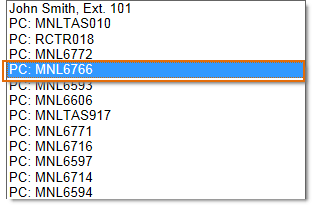 On the Phone Details window, look for Assigned to and click the drop-down arrow to select the computer you want to assign the phone to. NOTE: Options which has “PC:” refers to the computer which the Softphone has recognized. You have successfully assigned your Office@Hand Softphone to your computer.